Our SSIS Integration Universal Bundle allows you to integrate data of more than 15 cloud applications and databases via SQL Server Integration Services. Get our SSIS Data Flow Components for all the supported sources together with a discount of over 75% in comparison to buying them separately! 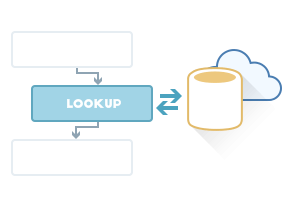 If you need only SSIS Data Flow Components for cloud apps, get SSIS Integration Cloud Bundle. And if you need to integrate only database data, order SSIS Integration Database Bundle. 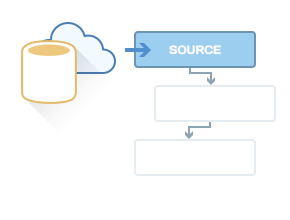 * Cloud Bundle and Database Bundle do not include SSIS Data Flow Components for cloud data warehouses. They are included only in the SSIS Integration Universal Bundle. Devart SSIS Source components come with convenient and user-friendly editor that visually displays the corresponding source objects and SSIS variables. It allows you to quickly configure your SELECT query that gets data. SQL SELECT statements are supported both for databases and cloud sources. 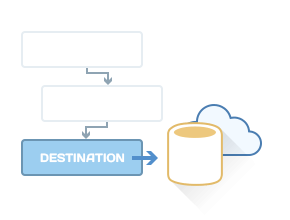 Devart SSIS Destination components allow fast data loading and has data source specific optimizations. They offer advanced per-row error processing and allow returning generated IDs (primary key values) for records that were inserted successfully. Devart SSIS Lookup components offer high-performance lookup transformation with advanced caching. To reduce the number of server round-trips, they use SELECT statements that check several rows at once, and cache the returned data to avoid querying the same rows again. For my first test, I used the Devart Oracle Connection in the Data Flow tab of a project... It was great! I then used the Devart Oracle Source and used the Oracle connection and it displayed the schema for the HR user that I had logged in as and also allowed me to view All Schemas as well from this component. I dragged and dropped the columns that I wanted to use into the Source and clicked OK and was almost done in accomplishing the task.